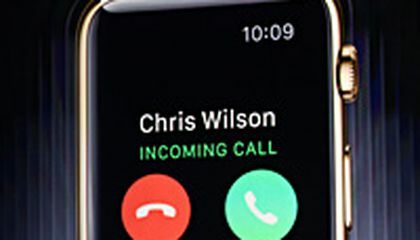 Time will tell if millions of consumers are willing to spend $350 on up there's an 18-karat gold version that starts at $10,000 for a wearable device that still requires a wirelessly connected smartphone to deliver its most powerful features. But CEO Tim Cook is selling the Apple Watch as the next must-have device, able to serve people's information needs all day long, like no other tool has quite been able to do. Apple wants this wristwatch, which piggybacks on a nearby smartphone's Internet connection through Wi-Fi or Bluetooth, to be seen as so revolutionary that it requires its own lingo. So while the watch face provides most of the same information as smartphones do, the back of the watch sends "taptic feedback," tapping the wrist to remind the wearer to get up and burn more calories. "It's like having a coach on your wrist!" gushed Cook, touting the potential health uses of a computer that sticks to your skin all day. The gadget also introduces "digital touch," a way of messaging that enables people to draw and send little figures with their fingertips and have them arrive on a friend's watch face dynamically, in the same way they were drawn. Convincing consumers they can't live without an expensive new device isn't easy, but Apple's strongest selling points include "convenience and immediacy," along with high-end design features and some useful new apps, said Carolina Milanesi, a tech analyst with Kantar Worldpanel. "If you don't have to be fumbling around for your phone, that can make a difference," agreed analyst Patrick Moorhead of Moor Insights and Strategy. Initial consumer reactions ranged from die-hard Apple fans vowing to buy the watch immediately, to naysayers who don't see the point of paying so much to see updates on their wrist instead their smartphone. "I think it's a tough market they are trying to get into, and I don't see much promise that is going to come out of it," said Joshua Powers, 21, a junior at Emerson College in Boston who owns an iPhone, an iPad and a MacBook computer. I think that having an Apple Watch that costs $10,000 is useless. The watch is very expensive and it only works when you have your phone in your pocket or near you. It can only be useful in specific situations and only saves you time when you are getting a call. It is to limited in its abilities for the cost. I would buy this watch for the regular 350 dollar price, but i also text and have fun with apps i dont always use it just to call people. That would be my only pet peive is that i wouldnt be able to text as much or as fast. I wouldn't pay $10,000 because it's just a little watch. Plus it's only gold. What if you drop it and it breaks? Thats spending even more money just to fix it or its $10,000 to waste. But what would you need a watch for if you got a iphone? My question is who would pay $10.000 Dolores for a apple watch. For that i could buy a new phone instead it works just like a phone so why would i buy a watch just to do all the things that a apple phone does. Also i don't think that they would have real gold on the watch like the iphone 6 its not real gold so if they do put real gold on the watch that's going to be a lot of gold that they are going to be putting on the watch and a lot of money that they are going to be loosing foe the amount of watches that the company has to mack. So why mack a watch when people can buy a new phone on a less amount of money. I think that the apple watch is an open door to the future. I mean ever since i was a child i imagined being able to do everything with a watch. How cool can it possibly get?? The iwatch has special features. It is smaller and used as a regular watch. I saw some other watches that are about 40$. The special features on this iwatch are pretty decent than an IPhone. 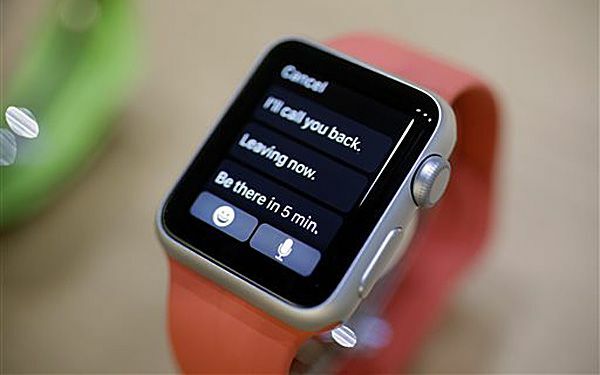 It says Siri is way better, it's on your wrist the whole time, and you have all the apps. The watch is about 350$ but 18 karat gold. That's about 10,000$. It releases and you can pre-order it by April 10th, but on sale April 24th. the apple watch will succeed more beacuse it is trying to replace your iphone were google glass glasses were trying to replace glasses which people already had to make them spend money with the name google on it. The Apple wrist watch may succed where google failed is probably by making it a watch. I know people feel very strongly about having their eye sight, it makes sence. So having the google make google glass would probably not appeal to people as much as a watch, which can't do much harm to vital parts of their body. I would never pay 10000 dollars for a watch even if it was made of goal. Even if it was multi purpose and could make my life easier.